In a move to help businesses better understand the impact of their advertising on its platform, Facebook has announced the launch of 'Creative Compass' - a new tool which "will evaluate ad creative by looking at key elements and ranking them on a scale from low impact to high impact". The programme will analyse elements such as brand fit, message comprehension and emotional reward to help businesses understand how likely their target audience is to see their ad. Creative Compass is currently being tested with select partners, but with plans to roll it out to all marketing partners in 2019. The social network has extended its Instant Forms feature - formally know as Lead Forms - so that brands can now include them on any ad campaign with brand awareness, reach or traffic objectives. The feature enables actions such as newsletter signups, registrations and more; and will be available on Stories, as well as traditional ad formats. The update also comes with a new platform reporting functionality "which enables marketers to determine whether Instant Forms were submitted via Facebook or Instagram as a way to help them determine which channels are most effective for their campaigns". Facebook has begun rolling out a new functionality for Groups which will enable members to launch group chats about specific sub-topics that up to 250 members can join. Video and audio calls are also available, but with a 50-person limit. And instead of automatically receiving thousands of notifications for each new message in each new chat, Facebook will simply send users one notification to join a new chat once it's created and then provide options on which notifications they would like to receive. It's hoped that this integration of Groups and Messenger will help to make the platform's discussion forums more real-time and engaging for users. After its initial announcement at this year's F8 Conference in May, Facebook has finally begun to introduce its new 3D photos capability to add "make-believe depth to iPhone portrait mode shots". To take one of these snazzy new pics, simply tap the new 3D photos option in the status update section, select the chosen portrait mode image, and share. The new update then uses AI to do the rest. All users on mobile, desktop and VR can now view 3D images by either tapping or clicking it and dragging or moving their head. Facebook will be rolling out the feature for all users over the coming weeks. Concerns grew on Wall Street last week that Snapchat was unprepared for life as a public company. Analysts continue to reassess their forecasts for Snapchat as it's showing slower user growth and revenue then previously predicted. It's now becoming likely that it will need to raise capital as early as mid-2019, as cash reserves continue to dwindle. Despite naysayers, Snapchat Chief Executive Evan Spiegel is determined to turn the platform profitable in 2019, calling out its "excitement to innovate" as a reason for losing focus on what made it successful in the first place. At the time of the announcement, Snapchat's stock was down more than 60 percent from its initial public offering on the 2nd March 2017. In its latest gambit to fend off competition from Instagram, Snapchat has announced a new line up of a dozen scripted "Original" video shows which will be broadcast daily on the platform's Discover section. Snapchat will also be introducing a new dedicated section for Shows, "as well as new permanent Show Profile pages available through Snapchat search where users can sign up for push notifications when each episode is released". The platform will also be introducing Reaction Lenses and Show Portal Lenses, to help fans engage with and share the content they love most. The move comes as "time spent watching shows on Snapchat has tripled this year alone”, according to Snap’s VP of Original Content, Sean Mills. Ultimate #lifegoals - you can now make it look like your cat is wearing glasses! Snapchat has launched its first set of Filters especially for cats - which include devil wings, glasses, unicorn horns, flower crowns and animal ears. Previously, the platform's Filters only recognised on human or dog faces, but now they'll work for cats too... and the internet has, quite understandably, gone mad for it. Twitter's Moments feature will no longer be able available for users of its iOS and Android apps to create as of October 23rd the platform has announced, citing low usage as the cause of its demise. 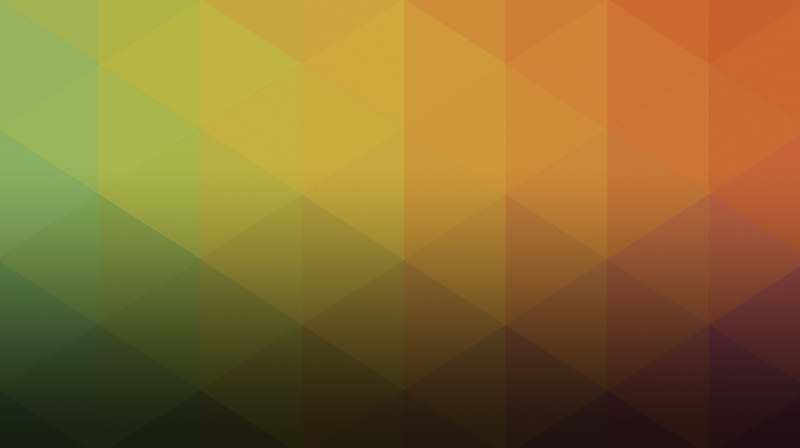 Despite the introduction of Sponsored Moments in January giving Moments a boost in-stream, it wasn't enough to drive people to use the three-year old feature. Twitter makes all emojis equal. Yay for diversity! 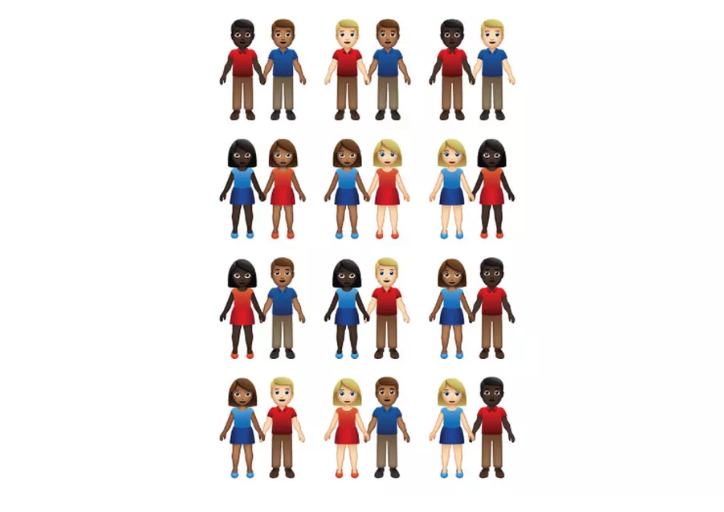 In the past, certain emojis have taken up more characters than others when trying to add them to a tweet - with some taking up as many as 14 characters - but now Twitter has announced that all emojis shall be "counted equally, as two characters". Last week, the tech giant announced that it will close its social network, Google+, to consumers, citing that the platform had failed to achieve a "broad consumer or developer adoption" it had hoped for. However, Google+ for G-Suite, Google’s productivity and collaboration software for businesses, is still alive and kicking, and getting some shiny new features to boot. The new updates include: giving admins more tools for managing and reviewing posts, allowing employees to tag content, providing better engagement metrics to posters, and more. Nike has teamed up with artificial intelligence platform Snaps to create a Facebook Messenger Bot for its Jordan Brand which "delivers content from the Air.Jordan blog, Jordan News and Jordan.com via weekly updates". Fans can customise when and what day then hear from the Bot, and will get personalised responses to specific phrases and requests. 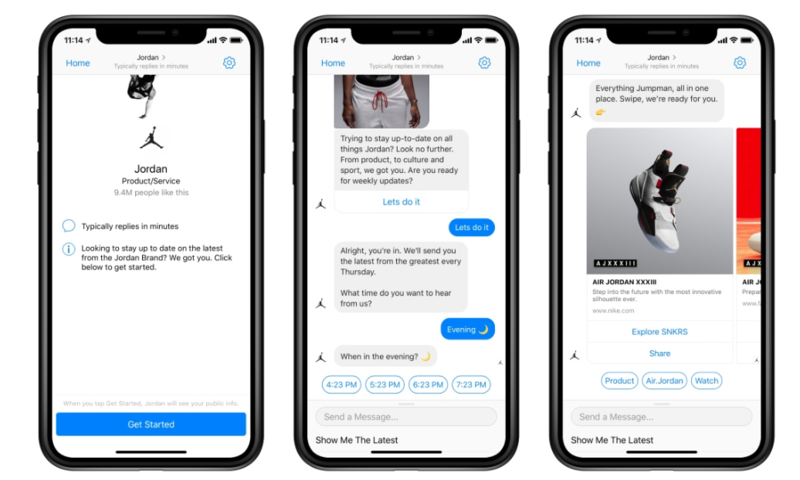 While it's not the brand's first experience with Messenger Bots, it's hoped that this new addition will create a two-way conversation and connect fans in a more meaningful way. Renault Italy is releasing 100 of its Captur Tokyo Edition, a limited-edition SUV, and will be selling them for the first time on Facebook via a Messenger Chatbot. Fans of the brand will be able to converse with the Chatbot to pre-order one of the limited-edition cars. 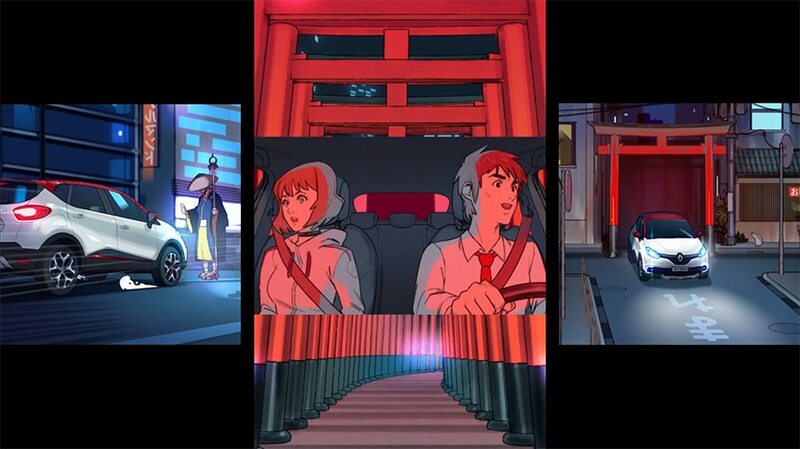 The carmaker introduced the SUV with its own Instagram Stories series "Tokyo Stories", conveyed through classic anime storytelling, which includes a 'mysterious character' - who will become the basis for the Chatbot's persona when engaging with consumers online.